Lavoisier considered that it was in founding the new chemistry that he gave his measure and history has largely ratified his self-estimate, according him the leading role that Isaac Newton played in physics, Charles Darwin in evolutionary biology, Albert Einstein in relativity, and Niels Bohr in quantum mechanics. All were prime movers in transformations of a scope that, as if anticipating political events, Lavoisier called a revolution in his science. This revolution includes the replacement of phlogiston by oxygen in the theory of combustion, the adoption of the systematic nomenclature in use ever since, the dependence on the principle of conservation of matter, the rigorously quantitative mode of analysis. Due weight must be given to the importance of his study of respiration both for physiology and for the early history of organic chemistry. But science is always a collective enterprise, and the parts of others, of predecessors, associates, and opponents, must be explained; here we have the whole cast, French, British, and European, and not merely the protagonist, the ultimately tragic protagonist. Putting matters in perspective does not entail any belittling of Lavoisier's stature nor any subordination of the content of his science to the social and political context. Still, the overall story of the chemical revolution is familiar, and it is mainly in the account of Lavoisier's fu rther concerns that new ground can be explored. Beyond the mere facts of his having been a partner in the Tax Farm, an administrator of the Gunpowder Service, and a model farmer, little has been known of how Lavoisier actually spent his days. As a rule, chemistry occupied only the hours before breakfast and in the evenings. For the rest, his life was that of a financier, economist, and liberal administrator, a "grand commis d'état. "(See Jean-Pierre Poirier. Lavoisier Chemist, Biologist, Economist, Philadelphia: Pennsylvania University Press, 1996). Chapter 9 : "LA REPUBLIQUE N'A PAS BESOIN DE SAVANTS"
PANOPTICON LAVOISIER aims at creating a virtual museum of the collections of the French chemist Antoine Laurent Lavoisier (1743-1794) scattered throughout the world. A detailed chronology of Lavoisier's life and works, the catalogue of Lavoisier's manuscripts (ca. 6000 items), laboratory apparatus (ca. 500 items), library (ca. 3000 items) and minerals (ca. 4000 items), the digital edition of Lavoisier's collected works, the bibliography on and of the French chemist (ca. 2000 bibliographic records) as well as his complete iconography are integrated in one relational database, Pinakes , and made available to remote users. The Conservatoire National des Arts et Métiers (CNAM) exhibits the splendid collection of Lavoisier's laboratory instruments. To make known the work of Antoine-Laurent de Lavoisier (1743-1794), the founder of modern chemistry. To circulate information regarding contemporary research on the life and work of Lavoisier. To assemble a complete bibliography on Lavoisier. To find and make known Lavoisier's papers. To create a Lavoisier Forum. To provide support for the Comité Lavoisier of the Académie des Sciences, which is responsible for editing Lavoisier's correspondence, 23, Quai Conti, 7-75006 Paris, FRANCE - Tel. (33) 1 44 41 43 85; mail to <archives@academie-sciences.fr>. Last October, Jean-Pierre Poirier has published the first biography of Madame Lavoisier (1758-1836). Born Marie Anne Paulze, the daughter of a farmer general, she married Lavoisier when she was 13 years old. She never had any child but, during 22 years, was secretary and assistant to her husband. Talented for public relations, she helped him in the triumph all over Europe of the chemical revolution. 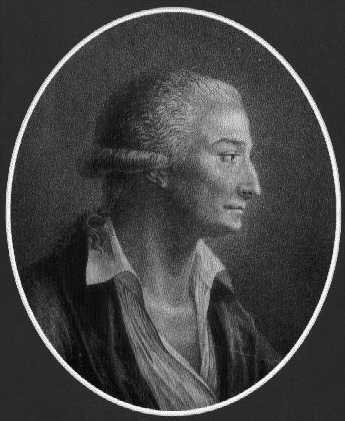 Pierre Samuel Du Pont de Nemours, her lover, gave here a taste for political and economic ideas. Imprisoned during the terror, she escaped guillotine. In 1805, she married count Rumford but could not achieve with him the same sort of happy couple that she previously had with Lavoisier. The aim of this book is to give an accurate evaluation of Madame Lavoisier's talents as chemist and to define her real contribution to the chemical revolution. Jean-Pierre Poirier, Science et l'Amour. Madame Lavoisier, Paris, Éditions Pygmalion, 2004. 31 euros.. The Muséum d'histoire naturelle Henri-Lecoq of Clermont Ferrand (Puy-de-Dôme, France) preserves Lavoisier's collection of minerals. It was donated to the city in 1837 by Léon de Chazelles and his wife Jean de Sugny, niece and heir of Madame Lavoisier. The catalogue of the collection, under the direction of Stephane Pelucchi, will be completed in 2004 and it has been realised by using a database SN-BBASE. The migration of the data into Panopticon follows with ca. a year of delay. The Museum also preserves three manuscripts describing the collection: one by Lavoisier (not complete), and two made during 1856-57 and 1881 after the donation. The collection consists of specimens partly preserved in glass blown recipients. The recipients are 993 have been inventoried without any other specific information than their size. They do not only contain minerals and fossils (which are 909) but also vegetable specimens (73), animal specimens (5) and archaeological items (5).. This website has been written by Jean Pierre Poirier author of ³Lavoisier, Chemist, Biologist, Economist, Philadelphia : University of Pennsylvania Press, 1996,² and designed by Martin Comar.